What is jaundice? 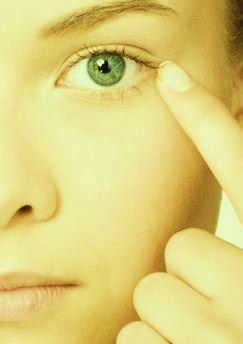 Having a yellowish tinge to the whites of your eye and skin is a sign that you are suffering from jaundice. Although infants are more likely to have jaundice, it is a disease that can affect anyone of any age. 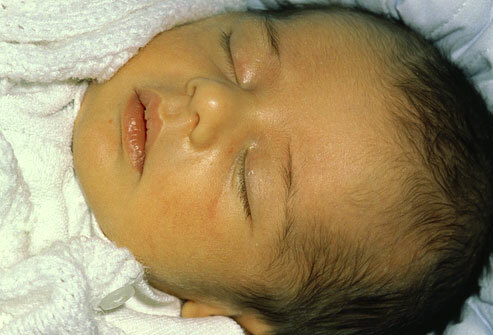 The increment in the production of bilirubin is the primary reason for the occurrence of jaundice. The inability of the liver to cleanse the blood of this excessive bilirubin may result in the suffering of this disease. People with highly inflated levels of bilirubin in their blood have brownish skin and sclera, while those with moderately high levels have yellow skin. Jaundice can also be caused due to a liver problem which stops the removal of the bilirubin from the bloodstream or because of a stoppage of bilirubin and bile flow to the intestines due to an obstruction of the bile ducts. The conversion of bilirubin to conjugated glucuronic acid and its secretion in bile are other reasons that can lead to jaundice. Know "what is jaundice" from jaundice symptoms and get an idea about how it feels like to have jaundice. The causes and risk factors are an important part in analyzing "what is jaundice", especially in fragile infants. Jaundice that occurs on the first day of a baby’s birth can also result from an infection, a gallbladder, intestinal or liver disease, Rh-incompatibility, trauma suffered during birth, blood type incompatibility and extreme prematurity. You must call your doctor immediately if you see any of the following symptoms in your child, since they might point towards serious complications caused by surplus bilirubin or severe jaundice. Cirrhosis of liver is a serious medical condition that is diagnosed after the emergence of jaundice symptoms. Caused by hepatitis C and many other factors, Cirrhosis is characterized by fluid retention, fatigue and an acute loss of appetite. Hepatitis A, B or C can all cause jaundice in adults. These diseases which can be contracted from contaminated water (Hepatitis A) or blood of an infected person (Hepatitis B) can present jaundice like symptoms. Pancreatic cancer and malaria are among those medical conditions that can lead to jaundice in adults. Obstruction of the bile ducts due to gallbladder stones or a tumor is a likely cause of jaundice. The obstruction stops the expulsion of bilirubin from the blood which in turn increases its amount in the body leading to jaundice. People with hereditary conditions like spherocytosis and thalassemia are more vulnerable to contract jaundice than others because of hemolysis. Heavy drinkers of alcohol are more likely to suffer from alcoholic hepatitis, cirrhosis and pancreatitis. Exposure to various forms of viral hepatitis such as Hepatitis B and C will increase the risk of developing jaundice. Jaundice treatment is the final and most vital part in "what is jaundice". Jaundice in infants should inform the doctor immediately and adults should take measures to get a healthy lifestyle and professional help to fight jaundice. Supportive care is one method of treatment prescribed for some sufferers of jaundice. The patient is kept under observation in this treatment and he does not even have to leave his home. This treatment method is usually recommended for patients suffering from mild viral hepatitis. Quit alcohol. Quitting the habit of alcohol is essential for treating cirrhosis, pancreatitis and alcoholic hepatitis. Unless the patient lessens his intake of alcohol, it would be impossible for him to get better. Stop offending agent. For medication induced jaundice, the treatment method is to discontinue the use of the agent that is responsible for causing the disease. If the patient has taken an overdose of Tylenol (acetaminophen), then he would have to be given N-acetylcysteine, the antidote for it. Use corresponding medications and antibiotics. Steroids and other medications would have to be used for treating the causes that lead to jaundice. Cirrhosis patients require lactulose and diuretics for treating their illness. For infectious forms of jaundice, the use of antibiotics becomes necessary. Blood transfusion and liver transplant. For jaundice patients whose liver have completely stopped working, liver transplant remains the only solution. Surgical intervention might be necessary for those patients who have gallbladder stones, while blood transfusion is prescribed for those who have become anemic due to hemolysis. Jaundice resulting from cancer would have to be treated separately under the observation of an oncologist.